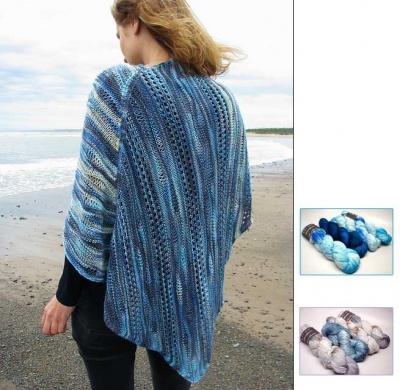 The third of our one-of-a -kind dye lots from Koigu! 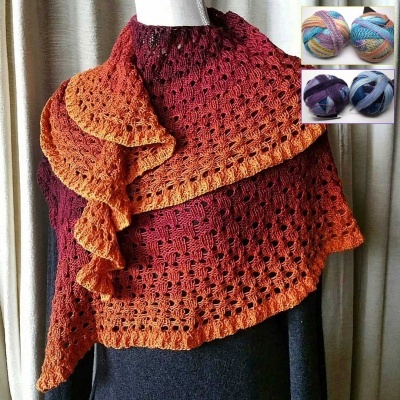 This is the third of their new Koigu Collector's Club, a monthly limited edition, one-of-a-kind themed colorway of KPPM hand dyed by Taiu Landra, co-owner of Koigu Wool Designs. 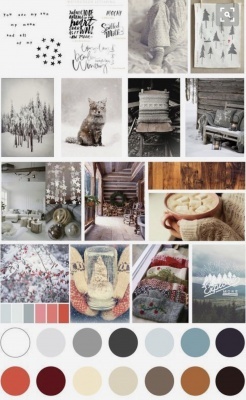 Called Hinterland, the folks of Koigu describe it as "snow overtones with twinkle speckle." 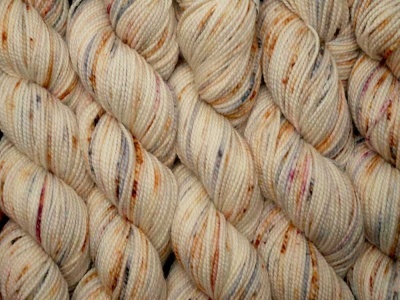 On a cream background, there are dots and dashes of gray and gold in varying depths and tones, with occasional surprise streaks of burgundy and blue. 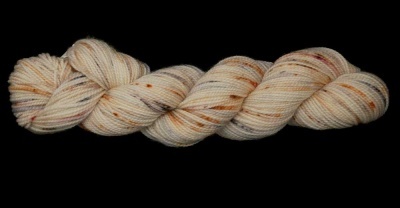 A lovely glowing colorway -- I'd call it a warmish neutral.